You can-not write a better ending for this CPBL legend 張泰山 (Chang Tai-Shan). 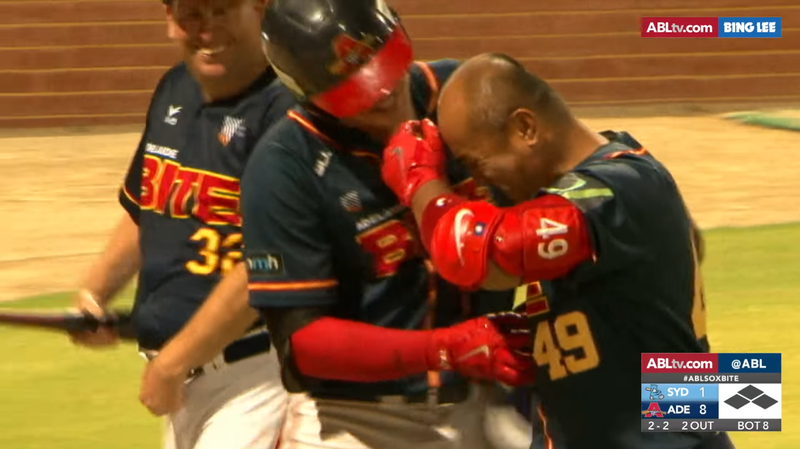 The 41-year-old former CPBL veteran smacked a grand slam in his final game in the Australian Baseball League. Chang finished his 2017/2018 ABL season with the slash line of .283/.306/.395 with 4 home runs and 26 RBI across 40 games. The Final Professional at-bat for Chang Tai-Shan? Realising this could be his final at-bat as a professional baseball player, despite hitting hundreds of home runs in the past, Chang Tai-Shan can be seen in an emotional state as he trots around the bases potentially for the last time. Overcome with emotion, Chang finally broke down in tears on his way back to the dugout hugging his teammates. “What is next for me? I’ll leave it to my agent. I just want to spent time with my family in Australia for a while before heading back to Taiwan”, said Taiwanese baseball legend Chang Tai-Shan. There is rumour that a newly formed semi-pro industrial league team that based in Taichung is thinking signing Chang for 2018 season. So, maybe ABL isn’t the last time we see Chang inside the batter’s box. With the 2017-2018 ABL regular season now over, it appears clear that 32 year old Frank Gailey is the ABL pitcher most likely to be pitching the CPBL this coming spring. His 1.80 ERA led a hitters’ league by more than a run with only one other qualifier posting an ERA below 3.48. His WHIP was only 0.90 and he struck out more than 10 batters per nine innings pitched. We’ll see how he does in the ABL post-season, but his regular season performance in the ABL and also his 2017 performance in the Atlantic League suggests CPBL teams should be interested in him.